My name is Robyn Buckley, and scary movies changed my life. I wish I could say that the horror movies that I saw at a young age caused me to do something profound like consider my mortality, but no. I wasn’t deep enough for that as a child – I may still not be! I mean that certain movies that I saw as a child changed my life in ways that continue until today. 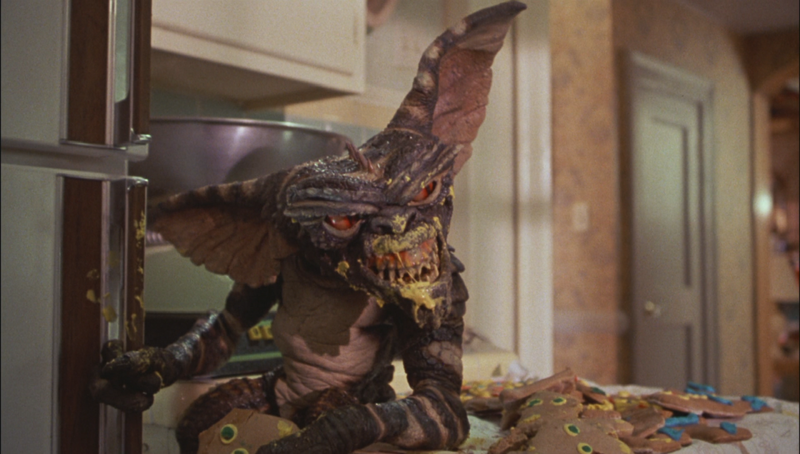 I don’t remember the first time I saw Gremlins. I had to have been about five years old at the time. I'm sure I wasn't supposed to be watching it, but I have a brother who is four years older than me and I watched whatever he had on. I remember having fun with the movie, thinking Gizmo was adorable and that the Gremlins antics were so silly. Except for Stripe. I was terrified of Stripe. I got it into my tiny brain that Stripe would lead a guerrilla attack on my home. The only solution was to be aware of all entrances and to never give him the chance to attack me from behind. Sure, I was a child with no fighting ability, but if I saw him coming I could determine some form of defense! This idea lead to me sitting in a particular seat at the kitchen table in my parents' house – my seat had its back to the main portion of the kitchen; the only access was through a small kitchen window. My plan wasn't perfect as the Gremlins could still get in, but it was the smallest entry point, and I decided that meant I had the best chance of escape. The rest of my family would be sacrificed, but it was a risk I was willing to take for my own survival. I'd like to laugh and say I grew out of this stage, but I still sit in the same spot every time I visit my old house – one can never be too careful. I was about 3 or 4 when my dad made the terrible mistake of having me sit and watch Killer Klowns from Outer Space. I had never been afraid of clowns before watching this movie, but afterward - I was terrified. My fear was exacerbated by a relative who decided a good idea for gifts were clown porcelain dolls, as well as a very creepy clown marionette. My room growing up was full of clowns, and I hated it. 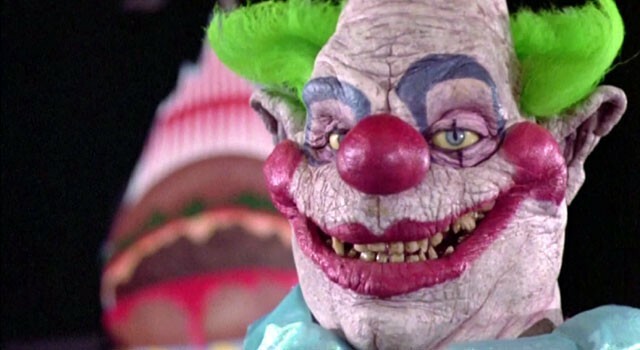 I knew after seeing Killer Klowns that they were all evil and would try to kill me while I slept. I fixed this by making sure that they could never see me – can’t see me, can’t murder me! I would place blindfolds on all of the clowns and would turn them away to face the walls. My mom once asked me what I had done, and I told her, "I don't like the way they watch me while I sleep." Thinking back on it, I'm sure my parents thought I was an extremely creepy child. I'm better with clowns these days – I loved the newest IT, and I don't flinch as much when my brother posts stupid clown memes on my Facebook wall. However, I’ll keep avoiding clown marionettes until the day I die – preferably not murdered by one. 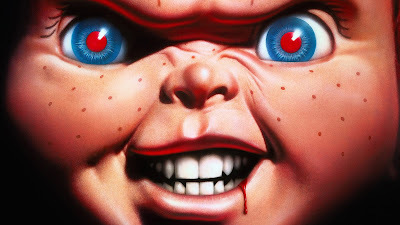 I was terrified of Chucky as a child, even though I didn’t see Child’s Play until college. Back when newspapers were still a thing (in a long ago time), my dad showed me a movie ad for Child’s Play 3. Google it; it's the close up of his face with blood dripping from his mouth. That image petrified me. I knew nothing about the movie, only that I never wanted to see that doll again. That’s when my brother decided to pull out his old My Buddy doll. You know the one, right? 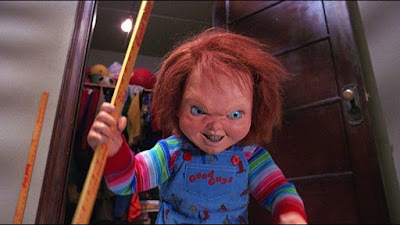 To a small child's mind, it's an exact match to Chucky. He would place the toy in places I would be sure to find it and when I was particularly annoying, he would use it as a weapon. He knew that one toss of the My Buddy at me and I would leave him alone for the next few hours. I never knew what became of that doll, but I hope someone burned it. Those are only a few of the scary movies that changed my life. I had a wild imagination as a child, and movies like Jaws and Jurassic Park made me give up swimming in pools for a summer (there might be a shark in the deep end) or start to sleep with my door shut (I decided velociraptors couldn’t open rounded doorknobs). Despite how much my active imagination warped me, I wouldn’t change having seen these movies at the age I did. Sure, they changed how I interacted with the world, but they were also fun and gave me a love for scary movies that continues until today. The difference now is that I've learned to separate the fiction of films from reality and can enjoy being scared without having it change my life! Great article Robyn! It is easy to relate to. I don't remember watch Gremlins for the first time either. But I do remember flicking water at mh aunt's cat (who they had named Gizmo) because I was trying to get her to duplicate. I may have taken the wrong lessons from that movie. I loved this article especially your choice of seat at the house hahaha!The old IT still terrifies me to this day. Welcome Robyn, nice article. 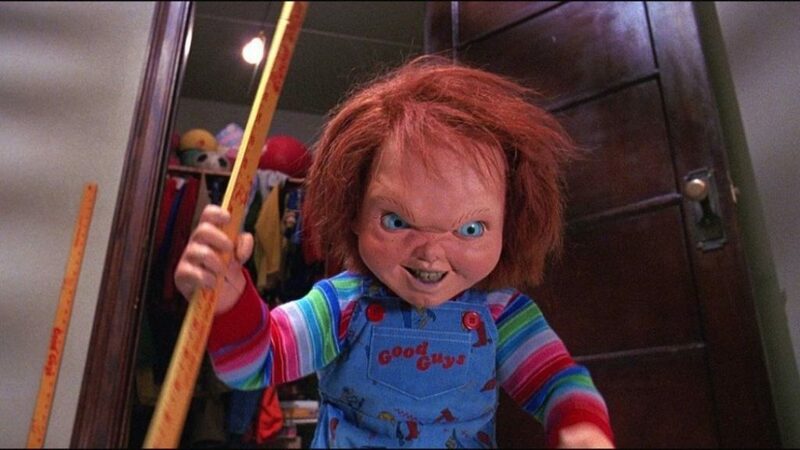 I grew up around the time when the first 3 Child's Play movies were out, Chucky scared me, but I always wanted to come back for more. I had an irrational fear of dolls for years, especially if I was alone with one. I can remember a Teddy Ruckspin doll we had that would start talking randomly or would just turn on without a tape in. It's mouth would just randomly move. I got so scared I threw it out my window one night so I could sleep, lol. I was about 6 at the time and like you I was exposed to horror at a very young age. Yay, Robyn! Great article and very entertaining. I, like others here, can relate to this a lot. I also once got given a porcelain clown as a child and I felt like I had to put it in my room. But, I must have had a similar mind to you, made the clown face the window. I figured it could scare away anyone trying to break in instead of murder me in my sleep. I still think this about certain dolls. I have a picture of myself as a young child with a doll and I look so sad and deflated and I often pull it out and chuckle at it. One of the movies for me was Beetlejuice, I loved that movie (still do)!